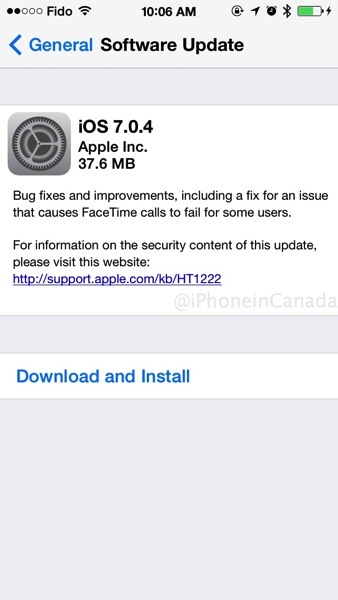 Apple has just pushed out iOS 7.0.4 for download, which includes “bug fixes and improvements, including a fix for an issue that causes FaceTime calls to fail for some users.” The download size is 37.6MB for the iPhone 5s. You can get this update by going to Settings > General > Software Update on your iOS device. Update: iOS 6.1.5 has also been released for the 4th generation iPod touch.